Senior Brooke Brown was crowned Mt. 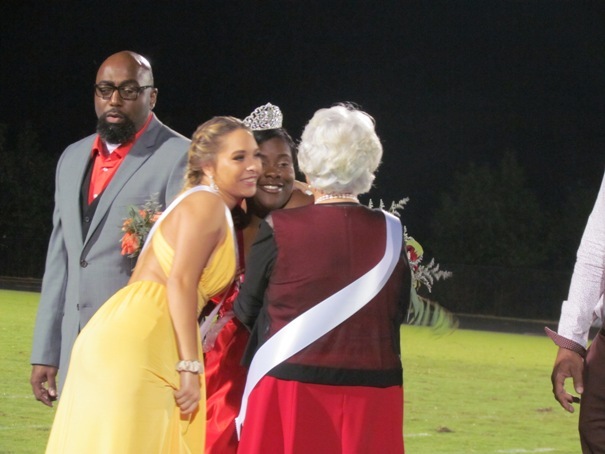 Zion High School's 2018 Homecoming Queen during the half time promenade of the Mt. Zion vs. Trion High School football game. 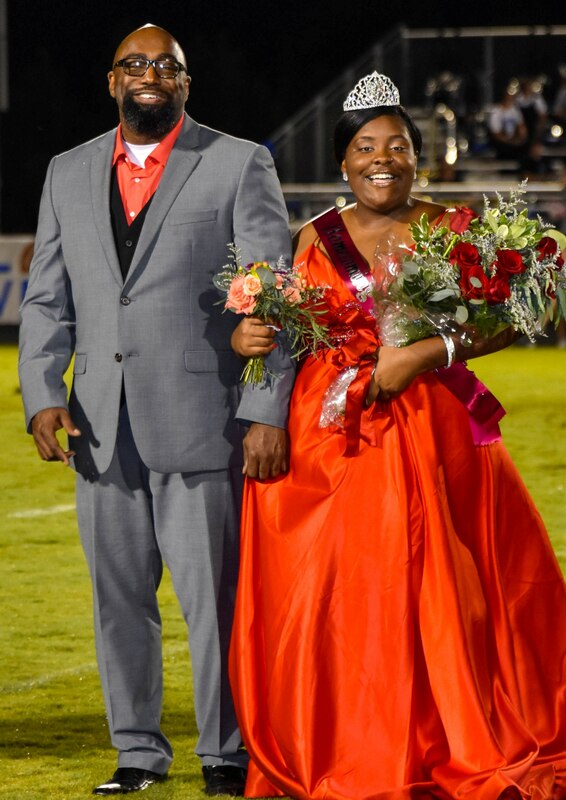 Brooke is the daughter of Tewanna and Antonio Brown and is pictured escorted by her father. 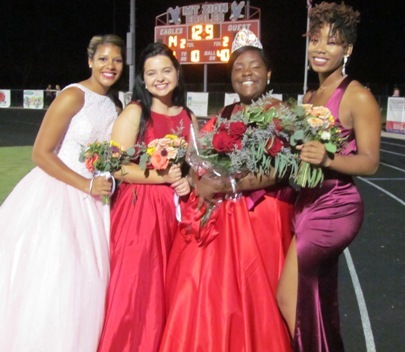 Brooke was crowned by both the 2017 Queen Tiffany Moore and Mt. Zion High's very first homecoming queen, Mrs. Betty Prater Kiser.